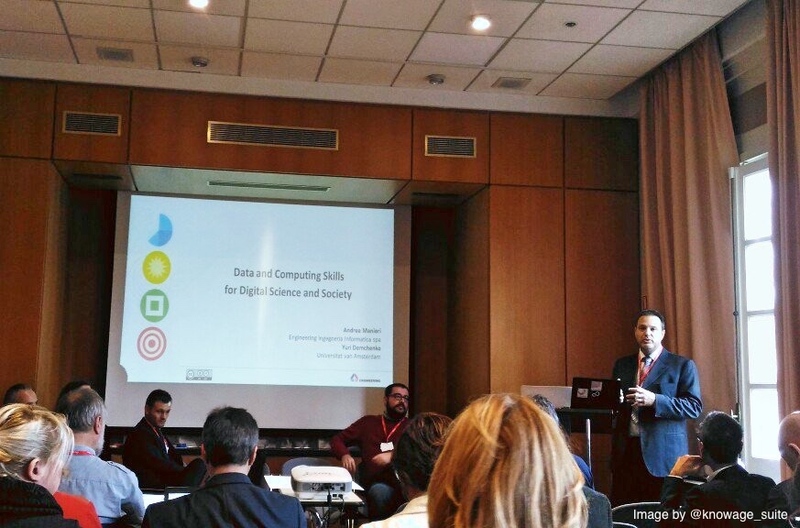 Among the most well-attended sessions of this event was the session dedicated to Data and Computing Skills for Digital Science and Society. Alexander Mikroyannidis (The Open University) represented the EDSA project by participating on the panel of this session and contributing the research outcomes and best practices from EDSA. The session was successful in opening an actionable debate about the emergence of core digital competences for Science, Business, and the Society. Experts and representatives from the Big Data and HPC Communities as well as from eScience started a multilateral dialogue in order to identify common baseline for a cooperative work.